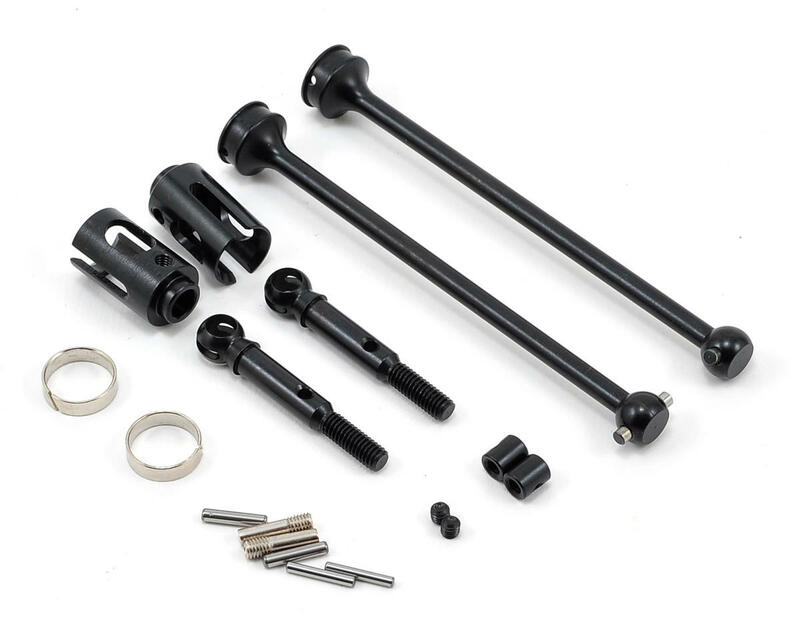 This is an optional Pro-line PRO-2 ProTrac Axle Kit, and is intended for use with the Traxxas Slash 1/10 scale short course truck equipped with the optional Pro-Line ProTrac Suspension Kit (PRO6062-00). Using the latest in computer aided design and engineering, Pro-Line has developed proprietary axles that help you get the most out of your ProTrac equipped Slash. The all steel construction of the shafts, outdrives, axles and pins provide maximum durability and can handle all the power your motor can provide. 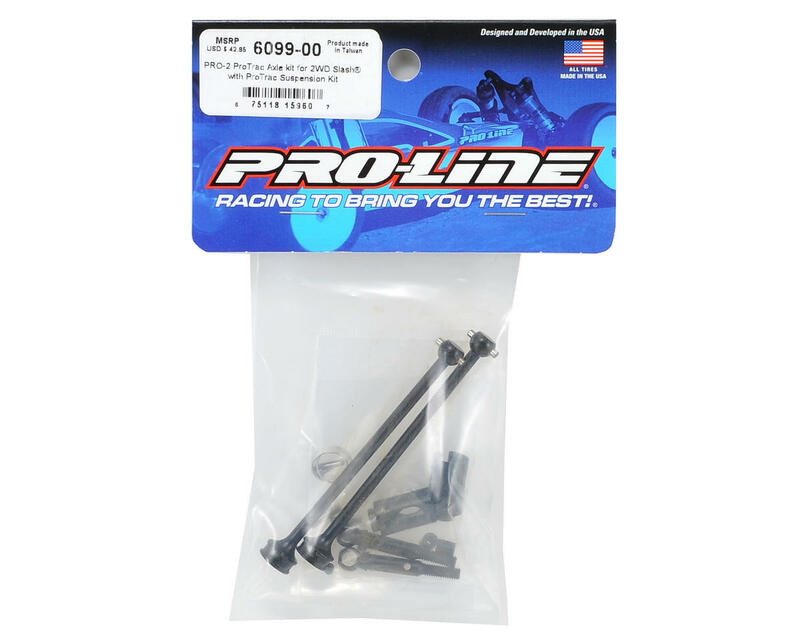 Pro-Line includes super lightweight outdrives in the PRO-2 Axle kit to improve acceleration by lowering rotating mass and also includes axle snap rings that eliminate drive pins from ever falling out. Be warned, Pro-Line's advertising is inaccurate! These are stated to fit the Slash 2WD with Pro-Line ProTrac kit installed. I installed two of these kits in two Slash's I own and neither fit as they should. The dog bone is not long enough to provide adequate penetration into the drive cups. I was optimistic, thinking worst case is at full droop and maybe the would work but, one trip to the track proved me wrong...bones kept popping out! I've since replaced with Techno bones and hubs (they don't offer a direct fit kit for the ProTrac suspension but, they have a solution...buy the standard kit TKR1951X and the TKR2210 dog bones that are longer), and fit / durability are perfect / far superior in design. Pro-line missed the design mark on this one for sure!!! I have the proline scb kit. Very fast but it is one of the least durable kits I've ever seen. These out drives are certainly part of that problem. Just a couple practice days have been cause for me to have to replace 3 out drives (broken), 3 joint pins, and now the ball joint. I haven't even gotten a chance to race it. Smh. Fast car but full of issues.